Why a Software Tester Firebrand Apprenticeship? What is a Software Tester Firebrand Apprenticeship? Software Tester apprentices are taught how to design and prepare test plans and conduct software testing to ensure that software is fit for purpose.They develop a good understanding of the software lifecycle and software development practices. Demonstrate competence against two knowledge modules: Testing Tools and Testing Concepts. These are assessed by examinations set by the British Computer Society and regulated by Ofqual. Apprentices must pass both modules. Successful Software Tester apprentices go on into roles such as a Software Tester or a Software Test Analyst. 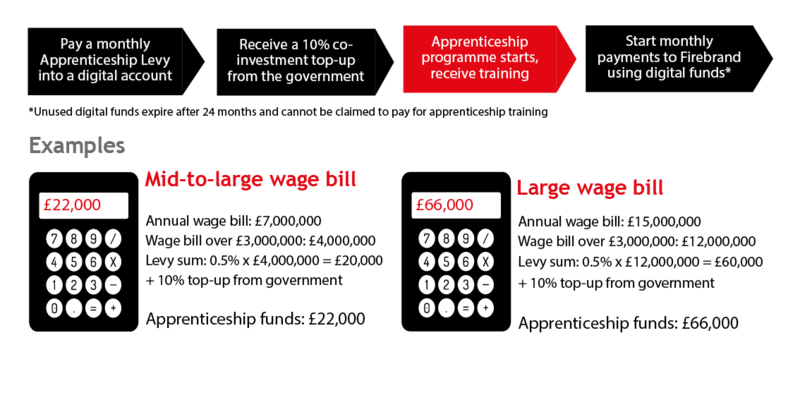 Apprentices will achieve one vendor qualification. What are the benefits of a Software Tester apprenticeship? Choose any two of Firebrand's accelerated courses listed below to add to this apprenticeship programme. These courses are delivered when apprentices have submitted evidence to their End Point Assessment gateway. When do Software Tester apprentices train? Who can enroll on a Software Tester apprenticeship? How much does a Software Tester apprenticeship cost? How are Software Tester apprentices assessed? What does a Software Tester apprentice's journey look like? How do Software Tester apprentices progress?